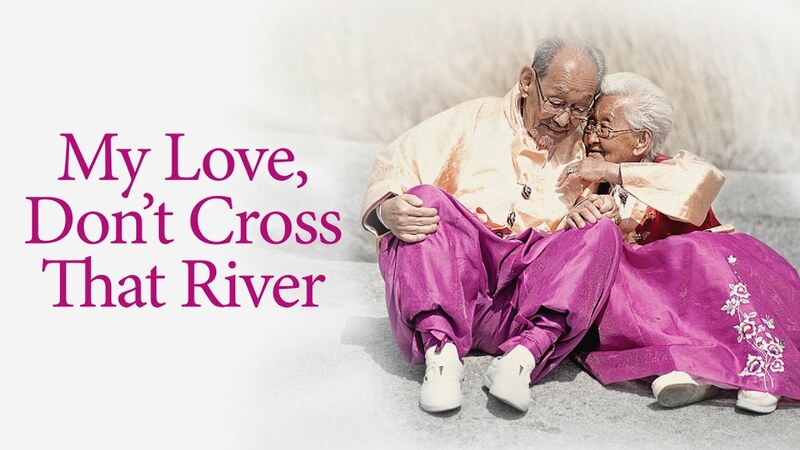 A blockbuster in its native Korea, where it would go on to become the country’s most successful film of all time, MY LOVE, DON’T CROSS THAT RIVER presents an unforgettable story of true love that transcends both generations and cultures. “100-year old lovebirds,” Jo Byeong-man and Kang Kye-yeol, have been inseparable companions for 76 years. Observing this fragile couple for 15 months, director Moyoung Jin acts as a fly-on-the-wall, capturing the tender moments of their twilight days - as the two face the inevitable reality that their time together will soon be approaching an end. "Recommended" - Video Librarian "The elderly subjects of this documentary have been married to each other for more than 75 years. At 89 and 98 years respectively, wife Gye-Yeul Kang and husband Byong-man Jo age in place even as the health of both declines. Visits from family members and visits to doctors take place alongside the daily tasks of maintaining their small home in rural South Korea... When death finally ends the arranged marriage, the grief expressed by the remaining partner is palpable." - Linda Frederiksen, EMRO. Recommended. "...gentle, elegant and genuinely moving...MY LOVE, DON'T CROSS THAT RIVER is a wonderful documentary that tells a story of [undying] love." "Go and see MY LOVE, DON'T CROSS THAT RIVER: if, by its ending, it hasn't moved you to your core, you have an invulnerable heart."